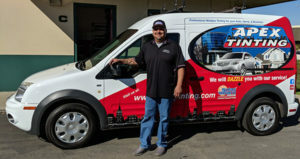 Highest quality auto glass chip repair in Avila Beach, that’s what Apex is all about! How are we different? Apex works tirelessly to achieve the highest customer satisfaction possible! From start to finish your job will be handled in a friendly, fast manner, it will be on time and at the best cost. Apex will also go to you – for all car window or windshield glass chip repair issues you may have! Apex goes onsite to you! No need to fret about taking up too much of your time to get that glass chip repaired! Apex will do the job on the spot wherever you are in Avila Beach. Taking care of your glass chip shouldn’t mean missing work or being inconvenienced. We don’t want you to let a small, low cost auto glass chip become a larger and more costly one. So we make it as easy as possible for you to get it repaired without delay. Not sure if your glass chip is able to be repaired? You will be glad to hear that Apex technicians are usually able to repair most chips right away! One way to tell is look at the chip and see if it is smaller than a quarter, and where it is located. If it isn’t directly in the line of vision of the driver and it is smaller than a quarter it most likely can be repaired. However, if the auto glass chip is very large or has cracks, or is in front of the driver, Apex will come and discuss the options with you for possible repair or replacement. 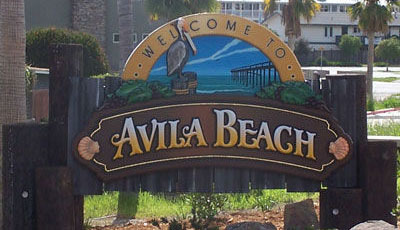 Avila Beach – we fix most chips in only 15 minutes! Lack of time shouldn’t keep you from being smart and getting your auto glass chip repaired as soon as possible. Apex fixes most auto glass chips in under 15 minutes! Be aware that smaller chips can crack and spread, which is unsafe and will end up costing more in the long run to repair. Call Apex today so we can take care of your auto glass chip while it is still no biggie! Call us for a free windshield assessment appointment!